Soon, you’ll be able to drive hemp. Literally, thanks to the Kestrel car, named after the colorful raptor. Right now, Canadian company Motive Industries, Inc., is testing the materials for a biocomposite hybrid electric car made from hemp and other natural and synthetic fibers. If all goes according to plan, Motive will finish its prototype mid-2011, and make the car available to the public in late-2012 or -2013, according to Nathan Armstrong, Motive’s president. The material used to manufacturer the body is impact-resistant composite from hemp mats; these are supplied by Alberta Innovates-Technology Future (AITF), while hemp is grown in Vegreville, Atlanta. Here’s the kicker, AITF is Crown corporation, owned by the Canadian government. “Plus, it’s illegal to grow it in the U.S., so it actually gives Canada a bit of a market advantage,” said Armstrong to the CBC. The four-passenger, three-door electric vehicle—created to showcase new automotive technology coming out of Canada—can reach speeds of almost 85 mph. It’s the result of Project Eve, a for-profit collaboration aimed at combining “Canadian skills for the purpose of producing and supporting Canadian electric vehicles and components,” according to Project Eve’s website. The Kestrel’s a solid step in that direction. “It won’t have any smell. It should be quieter. It should be warmer,” Armstrong says. “The vibrations that we get from the natural fibers are actually quite pleasant.” Plus, he adds, the car’s safer in a crash because it springs back rather than crumbles into a squished-metal ball. Because of the nascence of the technology being used, Motive doesn’t yet understand how long-term wear and tear will affect the biocomposite car. However, the idea’s to create something durable and easy to repair. If it comes to fruition, “we’re really leaning toward something that’s going to last a long, long time,” Armstrong says. CBC is reporting that several battery options will be available making the hemp electric vehicle affordable to many people. Where does the reference to the colorful kestrel come in? 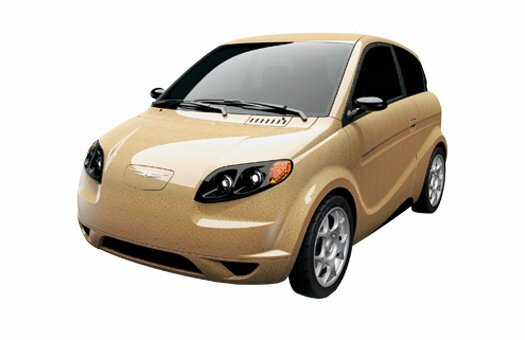 “It was initially because we were using design cues from the bird, for aerodynamics,” Armstrong says, “but later [we] found out the kestrel is quick and nimble but has a limited range—perfect for an EV [electric vehicle]!” Get ready to fly in this lightweight, better-for-the-environment, cool-looking hemp-mobile. Historically, hemp has proven to be a versatile and durable substance and therein lies the contradiction. For nearly a century now, Hemp has been overlooked and under-appreciated as a viable alternative to cotton, possibly as a result of its connotative association with marijuana. To clarify, hemp has no psychoactive properties. PROS: Hemp fibre is surprisingly useful as a cotton, paper, cellulosic or polymer substitute when it is treated correctly. As a crop, it is low-maintenance and resilient, and requires none of the weeding and heavy use of pesticides usually required in farming. Hemp is particularly effective as a source for textiles. The fibres drawn from the hemp plant are the strongest and longest in nature. Fabrics, twines, yarns and cords made from hemp are durable and versatile. It can be combed into any gauge or quality of fibre. As a substitute for such diverse substances as cotton, trees, or petroleum, hemp proves to be more environmentally sound than all of its alternatives (requiring about 10% of the water needed to produce cotton) and its versatility and resilience make it economically sound as well. CONS: Hemp fibre is characterised by undesirable susceptibility to moisture and rot due to moulds and mildews and the like. It is also characterized by a strong, naturally-occurring odour which makes it unacceptable as a substitute for other odourless fibres. Moreover, hemp fibre in its natural spun state is susceptible to fraying and has a rough hand and feel. A need therefore remains for a hemp product which is suitably strong, soft, flexible, moisture-resistant and rot-resistant and generally suitable for substitution in applications previously focused on the cotton, paper and petroleum-fibre industries. Hempflax are the leaders in this field in Europe and are based in Holland. Jack Herer suffers heart attack! News has reached us that the world-renowned author, activist and marijuana anti-prohibitionist Jack Herer suffered a heart attack this weekend. Emergency crews were called in as he collapsed in his chair after delivering a fiery speech at the Portland Hempstalk Event at Kelly Point Park. After spending a lengthy amount of time stabilizing Jack at the scene, he was transported to the Emanuel Trauma Center in Portland in critical condition with his son at his side. Soon after that, his family were told that he was the victim of a heart attack, a result of arterial blockage. Jack is arguably the best-known person in the world on the subject of marijuana; he is an icon of popular culture and his book, “The Emperor Wears No Clothes” is the largest and first account of the real story of marijuana and the techniques used by big money corporations to demonize and criminalize it. Jack suffered a stroke a few years ago that had left him somewhat challenged in terms of speaking, but those who heard him speak at the rally on Saturday afternoon noted that his speech was much clearer than it had been in many years. Last night the doctors put him in an induced coma and lowered his body temperature with ice. They are keeping him this way for 48 more hours. His heart is doing well for now so they think he will be ok soon. Early reports that he underwent angioplasty are unfounded. There are no equals to Jack Herer; he is a massive inspiration to us all – we have a huge amount of respect for his dedication to the cause; he is an inspirational figure and a genuine trailblazer. We wish Jack all the best and we hope that he makes a full and complete recovery. At this time, our thoughts go out to his son and wonderful wife Jeannie Herer. UPDATE (17/09/09): Jack has been taken off of the medications that were keeping him in a state of induced coma. He is not awake yet and the doctors are saying that it may be a few days before …he comes out of the coma. Jack swallowed some fluid into his lung’s during the heart – attack and this caused a minor infection. He is considered stable at this time just in a comatose state. Good luck Jack – we’re all rooting for you friend! After a decade trying to prove that hemp could be soft as cotton, one American company is starting to draw the attention to its product from some of the world’s biggest consumer brands. Grow cannabis legally anywhere in Europe! Thanks to “HEMPFLAX” (a company founded in 1994 by Ben Dronkers, founder of Sensi Seeds) it is finally possible to grow cannabis 100% legally, whether it is in an effort to reduce your carbon footprint or simply to enjoy the beauty of the plant!